In 1935 Gordon Buehrig, a talented but unknown automobile design engineer, designed the Cord --an automobile that has become known as a masterpiece of elegance, unmatched by any automobile manufacturer since then. 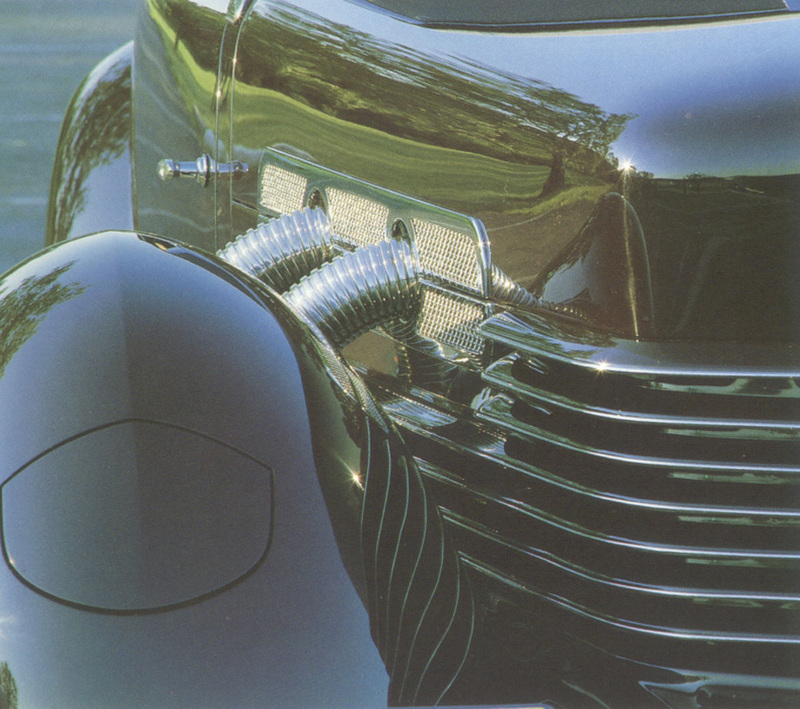 From the automobile's introduction in 1936 to this day, the Cord has thrilled all who have seen its beautiful design. The Cord is still known as the " Classic of Classics" with a timeless design that remains strongly fixed in the hearts of many automobile enthusiasts. Evidence of this continuing love of the Cord was made quite clear in the late 1960s, when in 1968, Howard Williams of Tulsa, Oklahoma organized the Cord Automobile Company. Williams was associated with industrialist and inventor William P. Lear, founder of the LearJet Company of Wichita, Kansas. Lear helped organize a group of businessmen to purchase the Cord Automobile Company following its bankruptcy in 1967. Lear furnished LearJet's Vice President and Production Manager Bill Landers. Landers became President of the Sports Automobile Manufacturing Company (SAMCO), which manufactured the Cord Automobile from a plant in North Tulsa and later in the West Tulsa suburb of Mannford, Oklahoma. Williams was President of Cord International Distributing managing sales, dealer relations and delivery. Though the production level to meet the thousands of dealer orders generated by Howard Williams that were received for the standard rear wheel drive car were never achieved, the Tulsa plant did manage the delivery of some 430 automobiles between 1968 and 1971. Later the factory was converted to the manufacture of motor homes. In 1972 Howard Williams acquired the entire Cord project from the investors and has continued to improve and redesign the new Cord automobile. In 1983, Howard Williams and Gene Bicknell, former President and CEO of National Pizza Company, and now owner of The Mansion Theatre in Branson, Missouri, entered into a personal joint venture to renew the project and bring it to the place it is today.